Product prices and availability are accurate as of 2019-04-15 03:16:51 EDT and are subject to change. Any price and availability information displayed on http://www.amazon.com/ at the time of purchase will apply to the purchase of this product. Details BPA Free. Stainless Steal and Acrylic. Pre-workout. Eggs. Cocktails. Juice. Baby formula. Energy drinks. Protein. Lemonade. And more. The ultimate portable mixer. 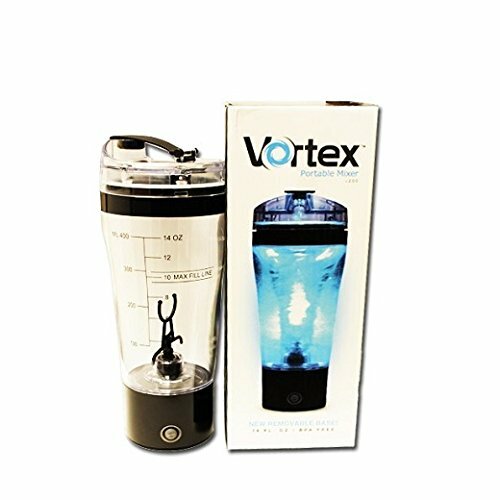 The Vortex is powered by a 11,000 rpm motor that tears through the thickest powders with ease. Your days of drinking clumpy protein and shaking cups up and down are over. Directions Install 2 AAA Batteries - (remove rubber bottom to insert batteries, DO NOT TWIST OFF). Fill mixer with desired liquid. 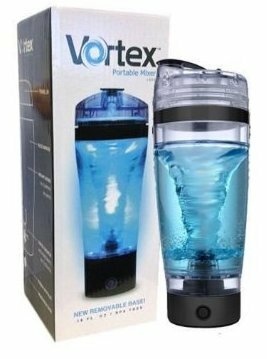 Push button and allow tornado to form. 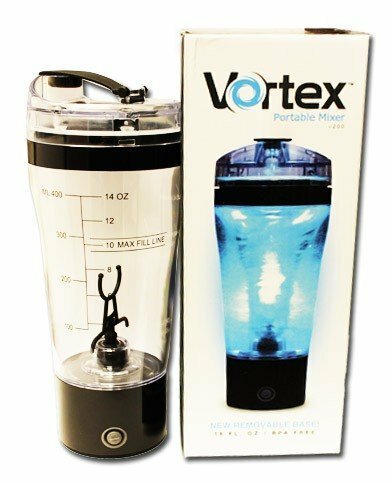 Add other ingredients to the Vortex portable mixer for instant mixing. Hand Wash Only. Warnings Do not tamper with propeller blade. Do not unscrew bottom of mixer cup. Do not drink without a lid on mug. Failure to follow these rules may result in a defective product at consumer's cost.